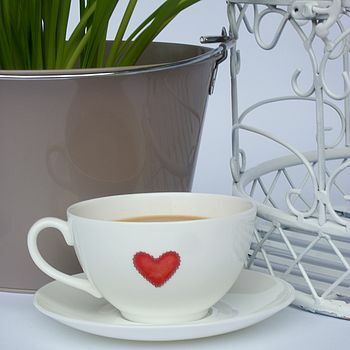 Weddings, anniversaries, celebration of birth, Christenings, birthdays - whatever the occasion, Dimbleby Ceramics has a love heart to celebrate it. Dimbleby Ceramics are husband and wife team Mathew and Rachel who have combined their design talents to create beautiful ceramic gifts. Mathew is the potter and Rachel covers the surface pattern and ties the ribbons. 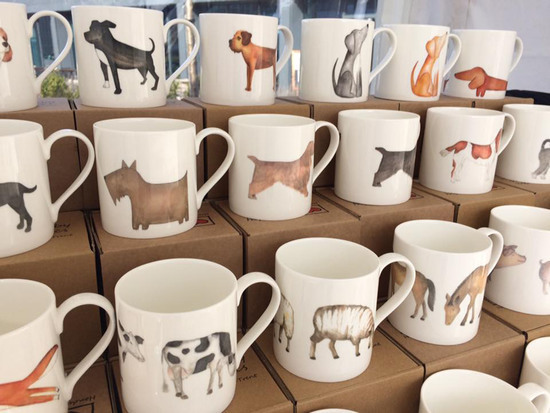 The pottery heritage of Stoke-on-Trent is very important for Mathew and Rachel and they are proud to produce their giftware from their Stoke-on-Trent studio using locally sourced materials. Even the ribbon is made in a factory ten miles away! 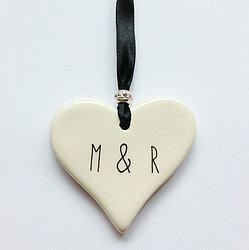 Dimbleby Ceramics signature products are the stylish hanging hearts and stars which are printed with a range of wording and images, tied with high quality ribbon and finished off with a charm style bead. 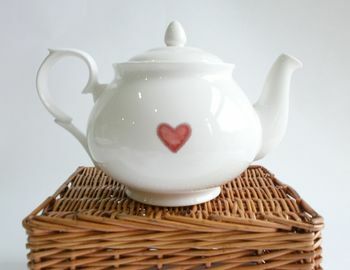 Rachel designs a range of surface pattern from original painted artwork for fine bone china mugs, and the hanging hearts. 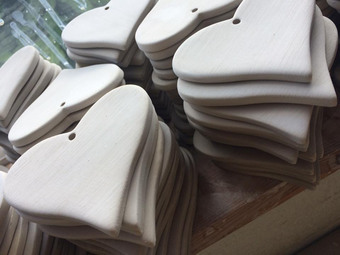 As all their products are made by hand, Dimbleby Ceramics can offer a personalised service, transforming a gorgeous gift into a unique treasure. "Great product, better than expected"
"The cup and saucer arrived quickly and was extremely well packaged. It was a gift for my daughter and her beaming smile when she saw it says it all really. Very happy with this purchase. 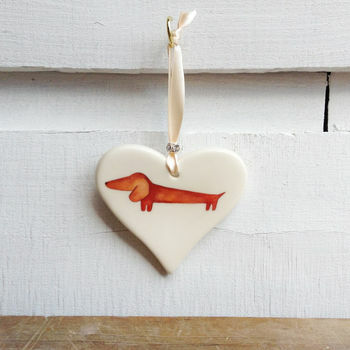 :)"
"The service from Dimblebyceramics was second to none. They really went out of their way to ensure that the order I places was with me in time for Christmas. I only wish some of the larger retailers were just as good. Thanks again." 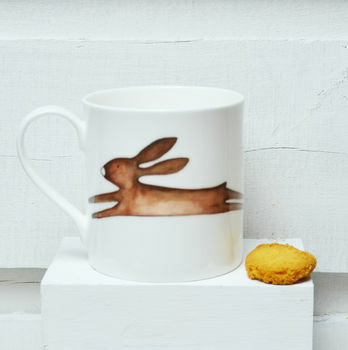 "My friend loved her hare mug and it was very beautiful." All orders will be dispatched in the specified time unless we have notified the customer of an unforseen delay. In such cases we will inform you imediately with an updated dispatch date.